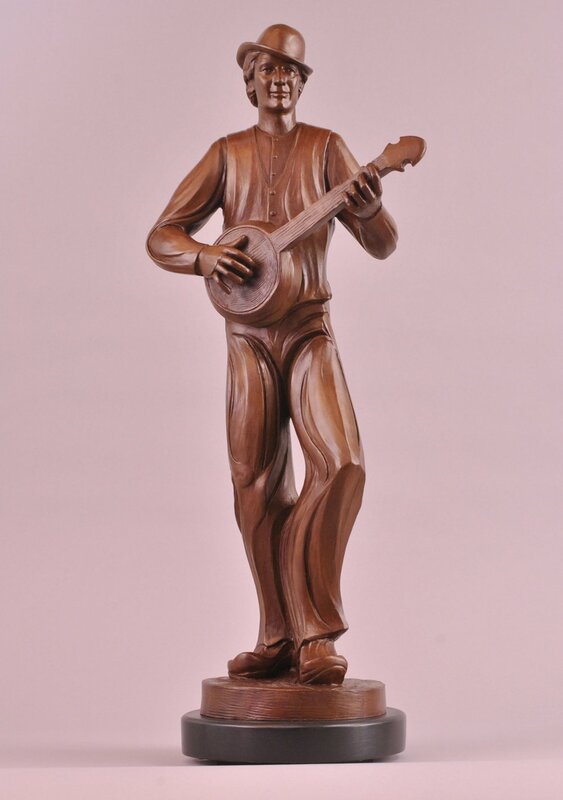 A bronze portrait of John Hartford: he was a singer, a songwriter (wrote “Gentle On My Mind”), a guitar-fiddle-and-banjo player (the father of Newgrass music), a comedy writer (for The Smothers Brothers. & Glenn Campbell shows), an author, and a riverboat pilot who left us far too soon. I loved to see him perform. While playing & singing he would dance out his own percussion on an amplified board. 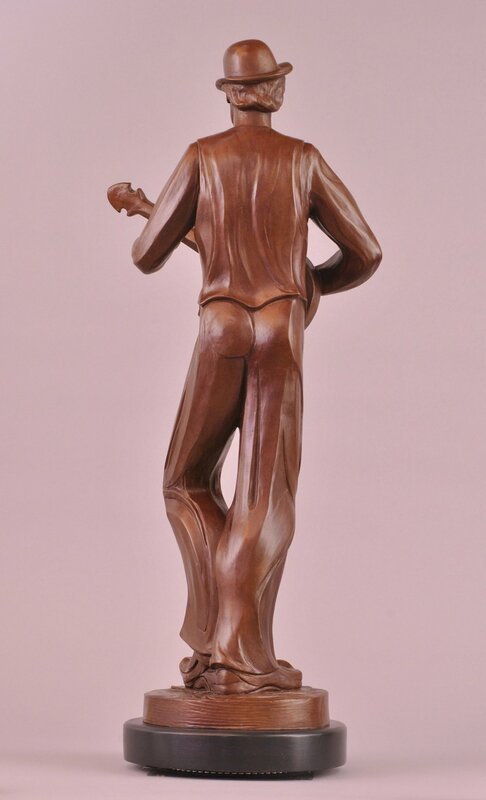 But, as its title suggests this sculpture isn’t just a depiction of Hartford in performance—it’s about living beyond our own lifetimes through our works and the people we touch. It’s about the impact of an artist’s work lasting beyond his place and time. My title is also the title of his song about enduring life’s hardships. I feel this piece is a perfect blend of my realistic portrait work and my abstract depiction of music & musicians, and of the meaningfulness I strive for in my work. I intend to do a monumental version of this piece for a riverbank in one of the many towns he would pilot by and sing about. 26 x 12 x 8 inches.